Ronald van der Meijs: New sound art installation in Surrey, England. New sound art installation in Surrey, England. 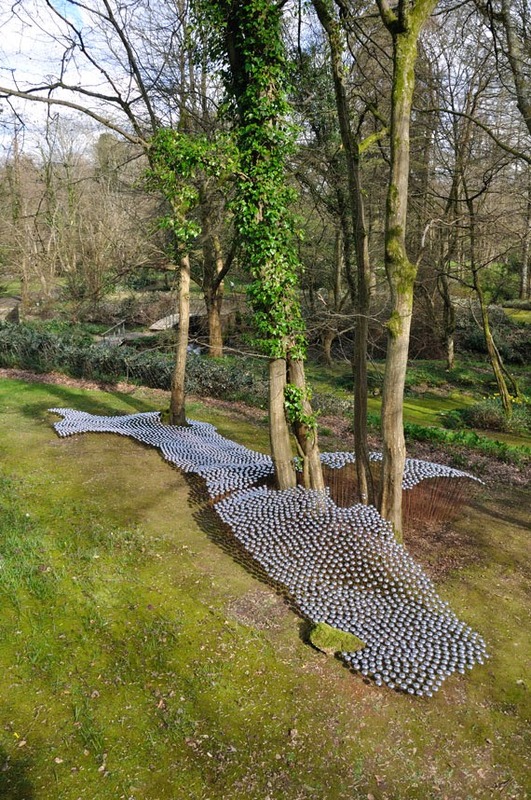 'Sound Architecture 5.0' at the Hannah Peschar Sculpture Garden / Gallery in Ockley, Surrey, England. It contains about 5000 chrome bicycle bell caps with a height of 20 cm - 100 cm. It's about 10 meters long and 3,5 meters wide. The high bells are capturing strong winds what's putting them together in a soft tickling noise.